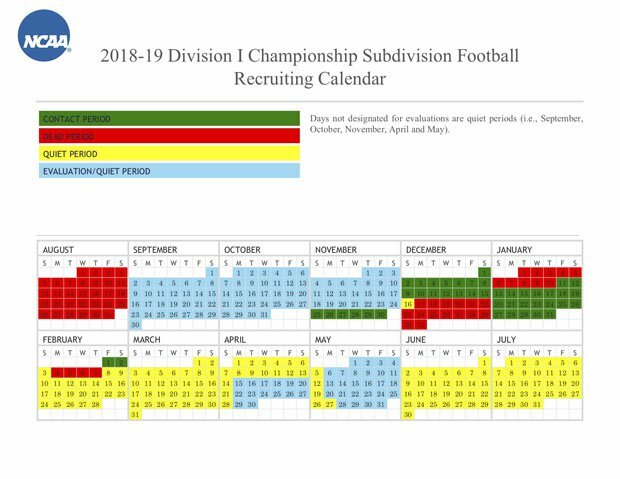 Understanding the recruiting landscape and college football recruiting calendar are important for any high school athlete wanting to play at the next level. What is the dead period? The quiet period? There are also evaluation and contact periods. The NCAA and NAIA have guides to help student-athletes and their parents through the long, arduous process of transitioning from prep football standout to college player. But James Steward, a recruiting coach for Next College Student Athlete (NCSA), lays out a very common sense approach to the complexities and pressures of recruiting: Think of it as pursuing a job. Unless you are an elite high school prospect, which applies to a small percentage of players, then it's vital to get out in front of the college coaches and programs. "Think of this as a job search," Steward told host Steve Montoya in the first episode of the MaxPreps new podcast, Making the Jump. "You're not just going have companies call you with a job offer. You're going to have to go out and get it." Like the physical strains it takes to build a college football frame, thriving in the recruiting process takes hard work, and ultimately the job of communicating and marketing comes down to the players themselves. But Steward and the NCSA are there to help. 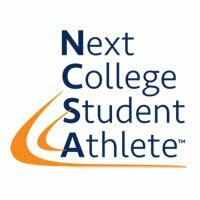 In the 23-minute podcast, Steward offers countless tips to aspiring college football players — the NCSA also counsels prep athletes pursuing all other sports — including the importance of highlight tapes, timely release of transcripts and taking college tests, evaluation camps, social media, your high school coach, picking the appropriate college and learning to communicate with adults. He also breaks down the three key phases and four periods of football recruiting calendar. As vital as the high school coach can be in the process, Steward says, it's not something a potential college player should count on. "Getting you recruited is not their job," he said. "If they are able to help you and willing, that is a bonus and thank them immensely. Absolutely, take their assistance. But ultimately this going above and beyond their job description. This is on you. If you want to play college football, it's not the coaches' job, it's not mom and dad's job. You're going to be the guy going out and doing that."